Soon there will be another meeting of the indie publishing group I attend nearby. The first hour will be for Q & A. At least one-third of the attendees will be new to the meeting. One of the first questions will be about print-on-demand—digital printing used as a way to distribute books by filling every order as a custom order, but at a price that allows a profit. For some reason, this topic simultaneously fascinates and perplexes many people. Usually I suggest watching a video showing the Espresso Book Machine producing a book like a sci-fi vending machine. But that only covers the printing, and that’s not what’s confusing. One way to understand this is to follow a transaction through the system and see how the different players interact. Yes, we’re going to follow the money. Publisher—That’s you. Maybe the author, too. 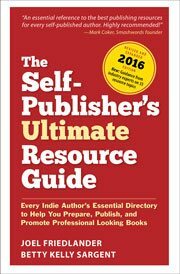 Let’s say you’ve got your book ready to self-publish. You have an ISBN, you’ve created a publishing company, your cover’s designed and your text block is in PDF and ready to upload. PoD Supplier—That’s a digital book printer who’s hooked into the book distribution system. There may not be that many of them. Most of the companies advertising their services as “self-publishing companies” are themselves using one of the PoD suppliers and perhaps adding editorial or prepress services like book and cover design. No, the best example to use is Lightning Source (LSI), a division of Ingram Book Company. Retailer—That’s any retailer with an account at Ingram. How about Amazon.com? But it could be any retailer, online or offline. Book Buyer—Contrary to expectations, digital life hasn’t killed off book reading, and the number of books published and sold gets larger every year. These book buyers are the reason print on demand exists. As publisher, you’ve selected LSI as your PoD supplier. You upload your book files to their server. LSI prints out a copy of the book on the same equipment they will later use to print your books when they are ordered. They send you this proof so you can approve the book for release. You’ll notice, by the way, on the last page of the book is a barcode and a place of manufacture. The one I’m looking at is from Breinigsville, Pennsylvania. The bar code helps their automatic equipment match the cover and interior correctly. You log into your account and approve the book for sale. When you set up your account at LSI, you were asked to set a Discount for the book trade. You only get to specify one discount percent for all orders to retailers, at any quantity. Let’s say for the sake of discussion that when you filled out that particular screen you set your discount at 20%, the lowest allowed by LSI. Throughout this discussion, you have to remember that a PoD supplier, like PoD itself, is a hybrid group of functions. LSI will be both your book printer and your book distributor, through Ingram. When you release the book it gets added to the electronic data feed that Ingram puts out to notify its thousands of customers about new titles added to their catalog. Along with the listing goes the data you entered about the book when you were filling out screens at the LSI website. Retailers like Amazon pick up the feed from Ingram and add these books to their databases, using ISBN as the unique identifier for each book and each edition. They will generate a webpage for your book on their website and use the data from LSI to fill the page. Your book is now available for sale. It’s got a big “buy” button just like every other book on Amazon. Your book has a retail price of $10. You have set your wholesale discount to 20%. The last piece of information you need to follow the money is the amount that LSI will charge you for their services. Let’s say your book is 200 pages, 6″ x 9″. It will cost $3.50 for each copy at LSI, for printing and fulfilling the orders. Our book buyer, meanwhile, has been browsing Amazon looking for information on your topic, and sees your book. It’s just what he was looking for, so he adds it to his cart and places his order. He’s pleased to see that he’s also going to get a discount, because your $10.00 book is selling for $9.00. He’s happy. Amazon receives the order and identifies the supplier for the book as LSI. The order, along with thousands of others just like it, is transmitted to the computers over at LSI. Your files are downloaded to the printing equipment and a few minutes later a copy of your book is ready to ship. But what about the buyer’s $9.00? Amazon is free to sell your book for any price it likes. It has discounted it 10%, so that from every sale it will make a profit of 10%. Why? Every copy of your book ordered from LSI will cost the buyer $8.00. You set your price at $10.00 and your discount to retailers at 20%, so LSI will demand $8.00 ($10.00 – $2.00) per copy for filling any orders. Now Amazon, if they wanted to, could sell your book for $10.00, or for $21.95, or for $4.99. For each copy sold, they still have to pay LSI $8.00. If they collect $9.00 for the book and pay LSI $8.00, their profit is the $1.00 left over. LSI only prints books that are already ordered and paid for, so you never have to worry about the money flow once you’re set up. All the money will be flowing toward you, automatically. So when Amazon orders the book for the book buyer, they also transmit $8.00. LSI prints the book and ships it. The shipping costs are covered by Amazon, who also handles any customer complaints or returns. They earn their money, in my opinion, since I don’t want to do any of those things. LSI deducts the cost of their service, $3.50, from the $8.00. What’s left is $4.50 profit for you, the publisher. This money is deposited to your account at LSI and, once a month, is paid out to you. You will also receive a printout showing how many copies of each book has been sold. The buyer spent $9.00 and ended up with a copy of the book he wanted. The retailer ended up with $1.00 profit. The PoD supplier ended up with $3.50. The publisher ended up with $4.50 in profit in completely passive income, 45% of the retail price. Digitial book printing together with print-on-demand book distribution has transformed self-publishing. There are now people getting books into print for very little money, working online book review and publicity sources, getting attention in social media, and selling thousands of books at profits that obliterate what authors used to get as royalties from traditional publishers. It’s an exciting time. Having read this far, you too, can now explain how print on demand works. All you had to do was follow the money. Thanks Joel for all your valuable information. I am an aspiring Indie Writer and have been preparing a manuscript for print sometime late this year. It is my first book and I want to do it right. I am currently planning its distribution, so maybe just maybe it would be a best seller. At least that’s the goal for now. I have already decided to target local libraries, bookstores in the surrounding geographical area where I live — New Jersey. I have joined local networking groups and writer groups; and also want to market it as an e-book to Amazon and Kindle. Please offer me any suggestions. It is not clear how to set up. Is the charge of $ 3.50 fixed for any book. Does it not depend upon size and number of pages? You undertake work on any particular subject for books, or book on any topic would be entertained? Only Amazon is the only retailer or are there many? Which countries, you would be selling? What is the method of advertizing? and what cost? who bears this cost? I am author publisher from India and have a few MSS. awesome information. i knew the score but you double confirmed it for me. go Indie writers.. also guys don’t forget kindle too is an awesome way of getting hooked up at a very low cost. i have written a 180,000 word military sci-fi thriller. now im trying to prune it down before i send it to LSI. what i figure is that the book cost will not be so different, no matter how much i am able to prune it. since the content i feel is interesting right till the end, i think im about to upload the whole thing to LSI. im assuming the 9×6 book with 400 pages or something will still be around the 7 dollar mark and i will have to sell at 16 dollars to make a decent profit. well lets see.. i will be done editing in a few days and then we shall see! Thanks for your comment, saif, and good luck with your book! How has that gone? I’m in the same boat as you, I wrote a ~450 fantasy/satire that I first published on Kindle and am now publishing through LSI, going about it basically the same way as you. Hope it’s gone well for you! Saif, did you ever go through LSI? Would love to know what happened and how things are going with the sell of your book. And a pretty persuasive argument for ebooks, too. Watching the video of books produced on the Espresso machine makes me wonder how the spines hold up. I don’t think I’ve ever seen one, but I recently found out there’s a machine in San Francisco so I’m planning on a field trip. With pictures. Not necessarily. I order several times a week fro mAmazon, so I pay $79 per year for unlimited 2-day shipping, or $3.99 fo rnext-day shipping on any item sold by Amazon (not by independent vendors selling on the Amazon site) This works for books, and even big expensive TVs and barbecue grills, and things can be shipped anywhere in the US–not just to the member's home. Some of my more-popular books are stocked by Amazon rather than being drop-shipped by LS to the reader. In this case there are TWO shipping charges that have to be paid for by someone. B&N and Borders have membership programs that provide free shipping, too. This is the part that has always amazed me about POD with LSI. The minimum "rack rate" for UPS ground shipping from LS in Breinigsville to me is $11.44. if LS is able to negotiate a huge EIGHTY PERCENT discount, they'll pay UPS $2.29. $3.50 less $2.29 leaves just $1.21 for paper, cover stock, toner, salaries, overhead, profit, taxes, etc. If that book had to go to Wasilla, Alaska, the rack rate for shipping would be $25.09. With a huge 80% discount, LS would pay UPS over five bucks, and would lose money on the $3.50 paid by Amazon. I'd love to know how much it really costs LS to print a book. Michael, when you order from Amazon, don’t they charge you shipping? LSI isn’t in this business to lose money, I don’t think they are just picking up the shipping, that’s between Amazon and the book buyer as far as I know. LOVE IT! This is EXACTLY the way I’m going, and I just got my ISBN and the application kit from Lightning Source. Cheers to the future: INDIE Publishing! – Jeff Emmerson – Author of a Gritty, Reflective and Inspiring Memoir to be Published in 2011! Jeff, best of luck with your book, and keep flying that INDIE flag! You obviously have grown children and no toddlers around you… I envy the time you spend on this site. Chris, you crack me up. I have a kid in school, pal, I do this when you’re asleep, you lazy lout. And I have a day job, too. But you already knew that. And hey, I’m waiting for your book to come along so I can put in a bid! Keep me in the loop. You can bid on writing the bloody book for me if you want! I’ll give you half the profits… should fund us a coffee each at least. Maybe half shares in an Oreo too!